Do you have what it takes to complete the “mission impossible” task? 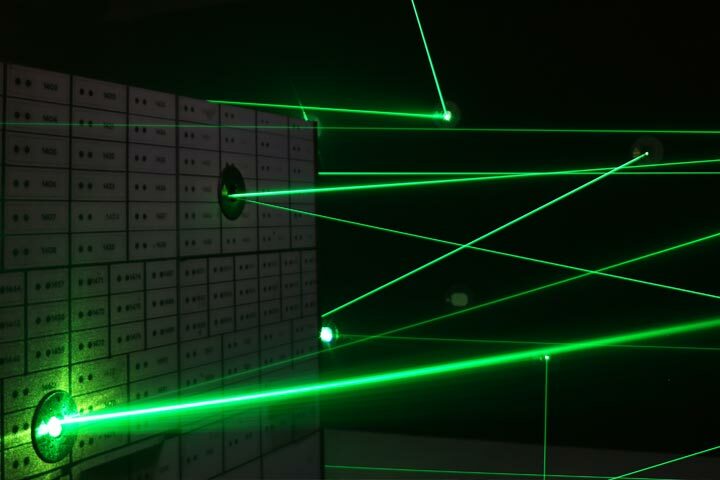 Can you get through this Laser Maze without touching any of the laser beams? Experience the thrill of THE VAULT Lazer Maze in our Cincinnati location! This is a heart pounding, get your heart pumping mission. Make your way through the Vault by crawling, bending, and jumping the laser beams without breaking them! Lazer Maze will have you racing your friends to the finish. Play by yourself or try our 2 player experience to see who can get the higher score! Are you stealthy, quick on your feet, and up for a challenge? Get ready for your Mission Impossible as you test your reflexes and agility while maneuvering through a maze of laser beams. Will you be quick enough to make it on the Funovation Top 10 Leaderboard?